Give yourself another comfy bedtime option with this long sleeved sleep shirt. With a full button front you can bundle up as tightly as you like, while the moisture-wicking fabric helps regulate any unwelcome sweating throughout the night. With lovely piping throughout, it's a comfortable - and fashionable - way to wake feeling refreshed! All colors feature white contrast piping and eight dark grey opalescent buttons. Care Instructions: Machine wash gentle. Do not bleach, tumble dry, iron or dry clean. Sweet styles for sweeter dreams, that’s the magic of Lusomé. Derived from an ancient Scottish word meaning "desirable," this sleepwear collection is redefining beauty sleep with lusciously soft, naturally blended fabrics, featuring innovative moisture absorption properties that help reduce night sweats. Fashion executive Lara Smith, Lusomé’s founder, saw that there was a demand for sleepwear that was both fashionable and functional. So, she set out to create just that brand. Aside from keeping you dry and comfortable so you can catch more zzz’s, Lusomé offers elegant style with flattering cuts, incredible fits and beautiful details. It’s time for a new sleepwear experience. It’s time for something that is equal parts elegant and practical. It’s time for Lusomé. 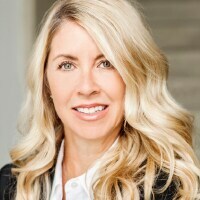 Founder and CEO Lara Smith has over 20 years of fashion experience as an executive for some of Canada’s largest retailers. When her sister became ill, one of the side effects that she suffered while undergoing treatment was horrible night sweats. So, Lara left her job in 2012 and set out to create Lusomé. Using her connections and expertise, she scoured the globe to develop a brand that could help her sister sleep comfortably while feeling fashionable and beautiful. Today, Lusomé is loved by women for its unique blend of comfort and style. XS: Bust 36-1/2", Back Length: 35"
Small: Bust: 38-1/2", Back Length: 35-3/4"
Medium: Bust: 40-1/2", Back Length: 36-1/2"
Large: Bust: 42-1/2", Back Length: 37-1/4"
XL: Bust: 44-1/2", Back Length: 38"